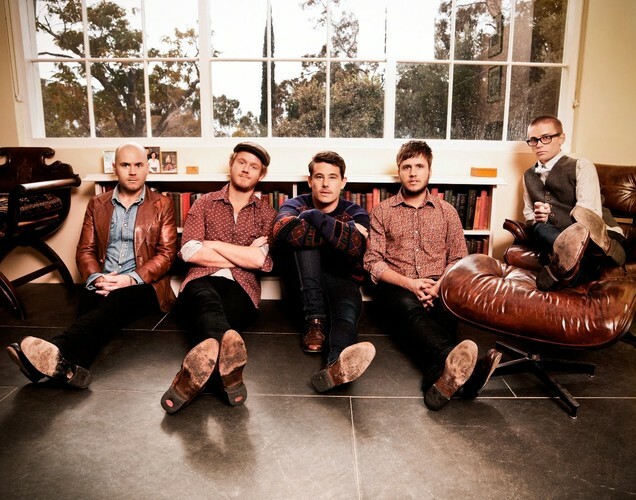 Formed in 2009, Boy & Bear was originally began as a solo project for Dave Hosking. Jake Tarasenko joined and then they expanded with Killian Gavin and Tim Hart, all members being singer / songwriters. All the members originally fronted their own groups, and became friends after sharing the stage on many occasions. They later expanded to a quintet with Jon Hart. The band has received national airplay on NovaFM and Triple J and in October 2009, the band was the 'feature artist' on radio Triple J's Unearthed program. The band signed with Universal and they have won Unearthed competition, giving them a spot at Homebake 2009, toured Australia with Angus and Julia Stone and Hungry Kids of Hungary. In 2010, they toured Britain with Laura Marling and Alessi's Ark, supported Mumford & Sons in their Australian tour, and released their debut EP, With Emperor Antarctica. The EP peaked at #63 on the Australian ARIA Charts. In 2010 they were a part of He Will Have His Way, a tribute album to Crowded House, where they recorded the song "Fall at Your Feet". This later placed as number 5 in Triple J's Hottest 100, 2010. Another one of their successful tracks, "Rabbit Song" also placed as number 45 in this year's count. As well as their cover of "Fall at Your Feet" charting at #34 on the ARIA Charts in November 2010, their new single "Feeding Line" recently debuted at #49 on the chart. One of the group's hits, "Mexican Mavis", was featured on 90210 episode Nerdy Little Secrets. On 5th August 2011, Boy & Bear released their debut album "Moonfire". The album was recorded in Nashville, Tennessee with producer Joe Chicarelli. The album reached at #2 on the iTunes Australia chart.